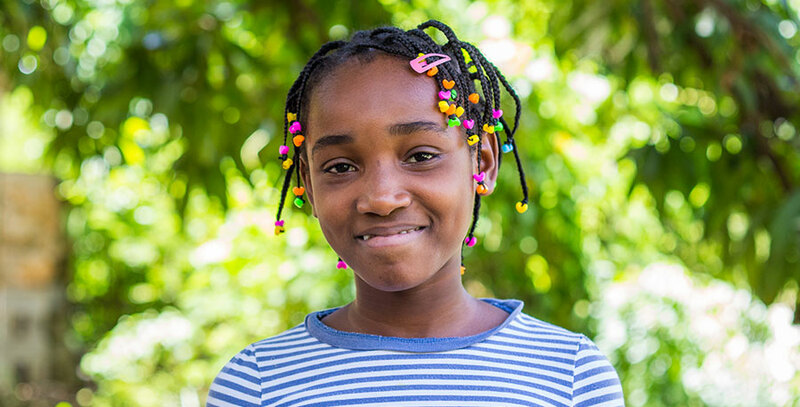 Jasmine is from the village of Fond Blanc but came to live here with two of her sisters, Massenda and Maselene. Her father lives back in Okay and her mother passed away while she was living here at the orphanage. She and her sisters have a little brother who lives back in Fond Blanc with their father. They have two other sisters who were adopted and are living in the United States. Her favorite subjects to study are French, Grammar, and Articulation. Her dream is to visit the United States one day. Even though she loves hanging out with all the girls, her best friend at the orphanage is Marceline. She loves playing and jumping rope with her. When she grows up, she would like to be a doctor.